Research in the past decade has shown that computer technology is an effective means for widening educational opportunities, but most teachers neither use technology as an instructional delivery system nor integrate technology into their curriculum. 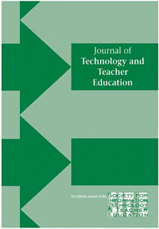 This qualitative study examined the classroom practice of 30 “tech-savvy” teachers who used computer technology in their instruction, how much they used it, the obstacles they had to overcome to succeed in its use, and their general issues and concerns regarding technology. Participants were volunteers from two elementary schools, one middle school, and one high school. All identified by their schools as being proficient with technology. The study found that the teachers were highly educated and skilled with technology, were innovative and adept at overcoming obstacles, but that they did not integrate technology on a consistent basis as both a teaching and learning tool. Two key issues were that their students did not have enough time at computers, and that teachers needed extra planning time for technology lessons. Other concerns were out-dated hardware, lack of appropriate software, technical difficulties, and student skill levels. Results suggest that schools have not yet achieved true technology integration. There are implications for teachers, administrators, and teacher educators. Bauer, J. & Kenton, J. (2005). Toward Technology Integration in the Schools: Why It Isn’t Happening. Journal of Technology and Teacher Education, 13 (4), 519-546. Norfolk, VA: Society for Information Technology & Teacher Education. Retrieved April 25, 2019 from https://www.learntechlib.org/primary/p/4728/. Crossman, D. (1997). The evolution of the worldwide web as an emerging instructional technology tool. In B.H. Kahn (Ed.) , Webbased instruction (pp. 19-23). Eng lewood Cliffs, NJ : Educational Technology Publications. International Society for Technology in Education (1999). Will new teachers be prepared to teach in the digital age? The Education Digest, 65(2) , 33-37. Leu, D. (1997). Caity’s question: Literacy as deixis on the Internet. The Reading Teacher, 50, 162-165. Loveless, T. (1996). Why aren’ t computers used more in schools? Faculty Research Working Paper Series, R96-03. Cambridge, MA: Kennedy School of Government. Schrum, L. (1999). Technology professional development for teachers. Educational Technology Research and Development, 47(4), 83-90. World Almanac and Book of Facts (2002). Students per computer in U.S. Public schools (p. 233). New York: World Almanac Books.